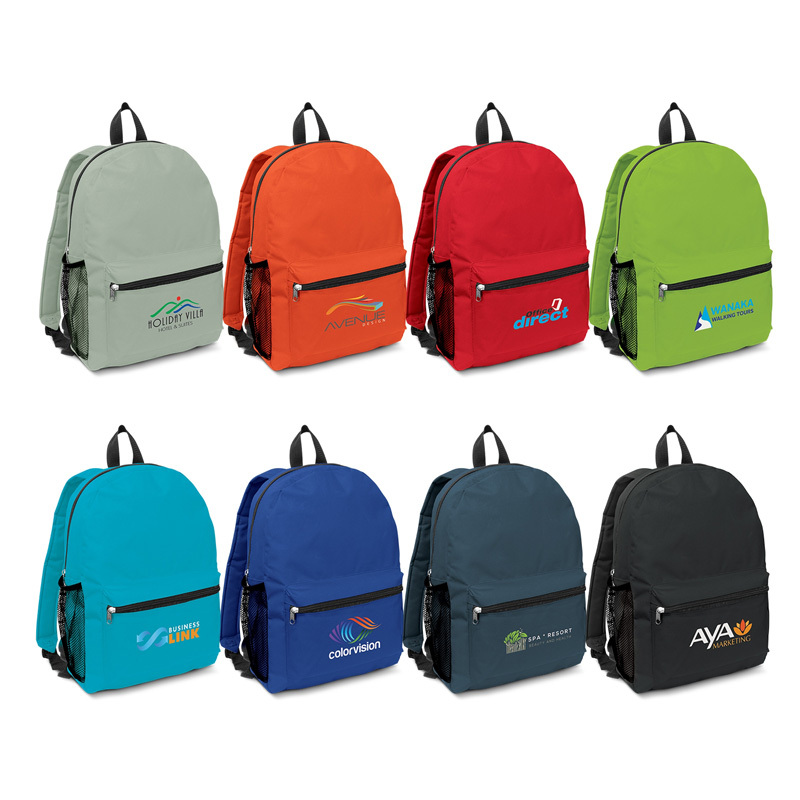 Make your daily commute or running errands easier than ever with our range of promotional branded backpacks – there is a storage solution for everything! 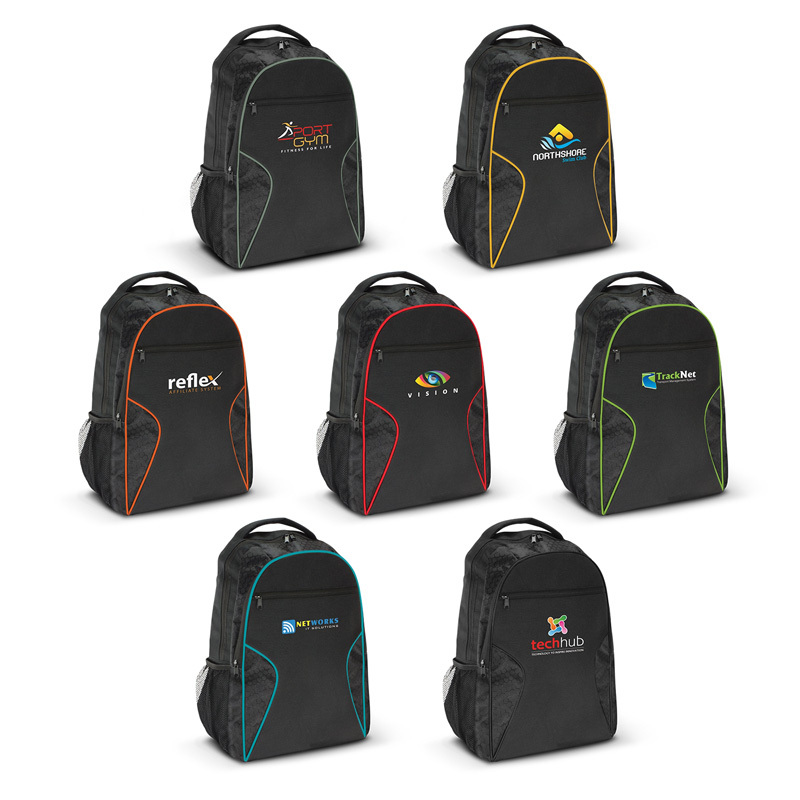 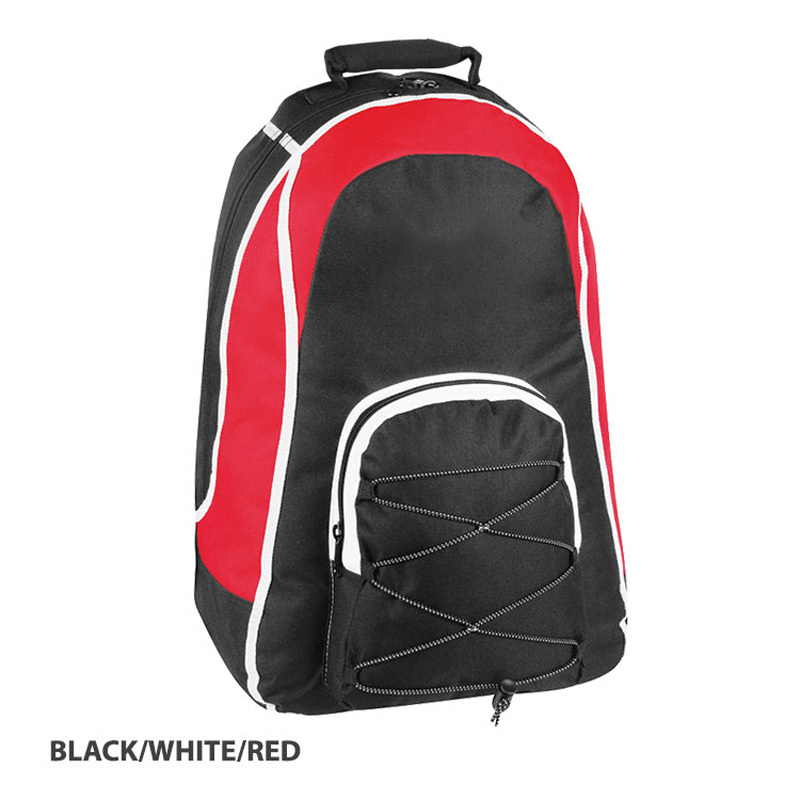 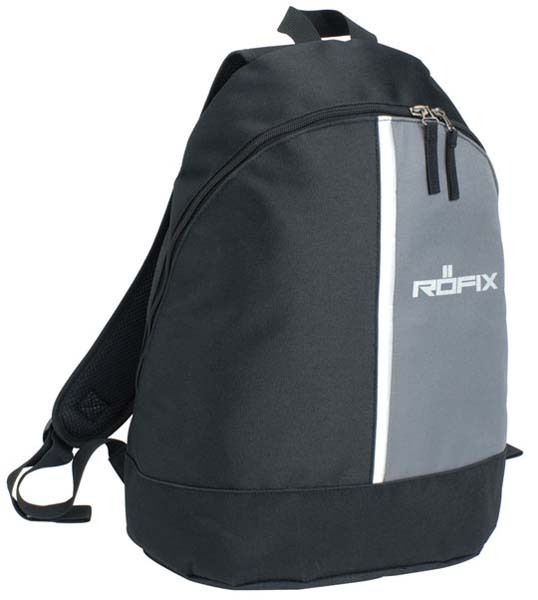 Choose from custom printed backpacks or custom embroidered backpacks, each featuring your logo or design. 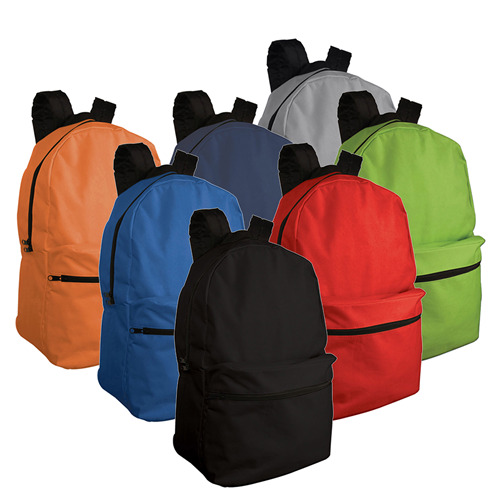 We have a wide variety of colours to choose from, ensuring that you find the closest possible match to your logo. 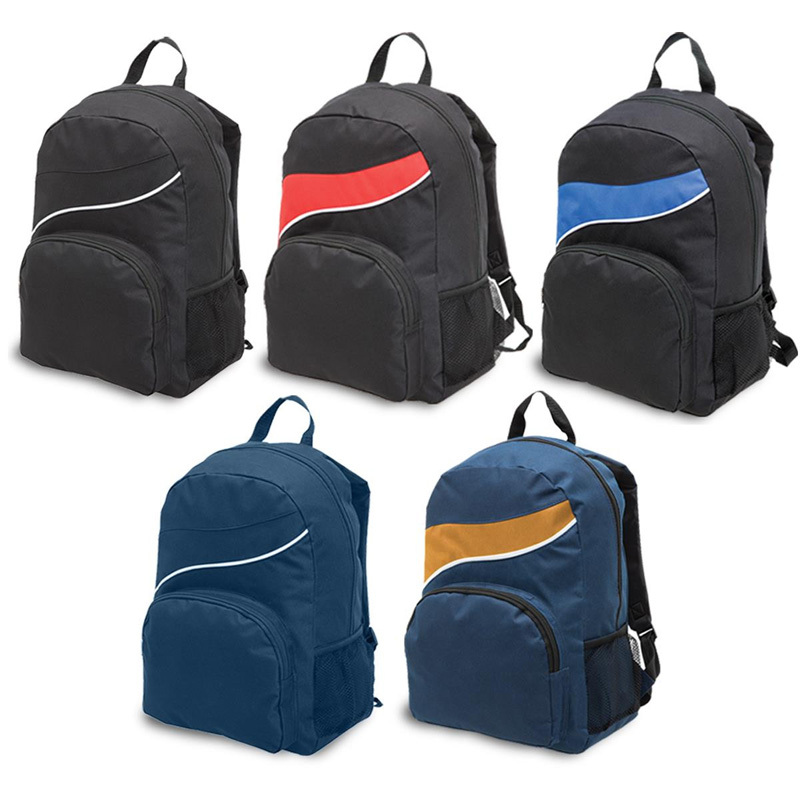 Our custom branded backpacks are available in a variety of high quality materials, including: woven nylon, waterproof synthetics and exotic leather. 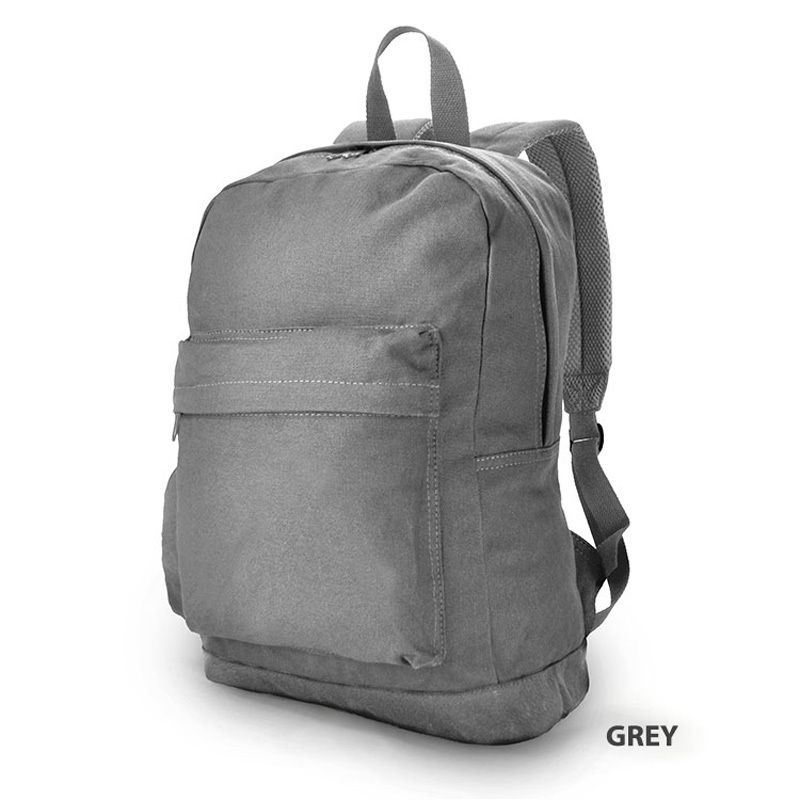 The sporty nature of custom backpacks means that they travel well and are incredibly long lasting. 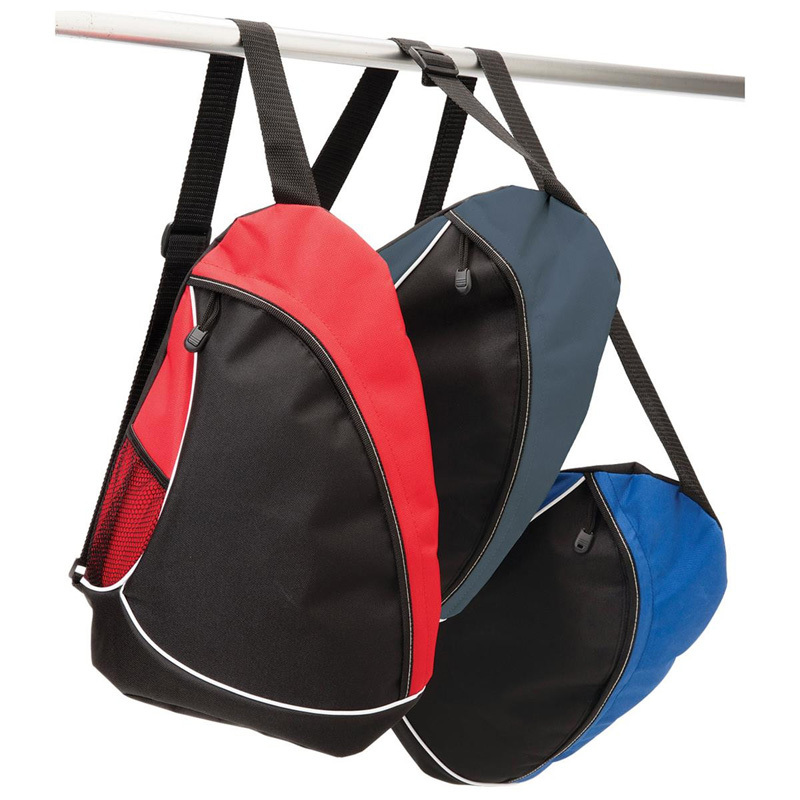 Novel Tees stocks a variety of different styles, ensuring that you will find the perfect one for your needs. 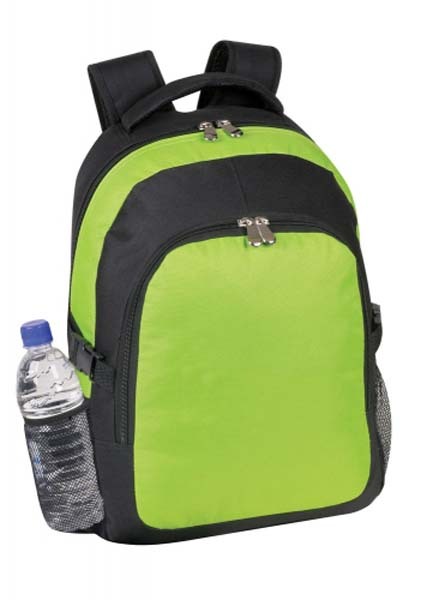 Our range includes: sling, hydration, headphone, laptop, outdoors, casual and customised trolley backpacks. 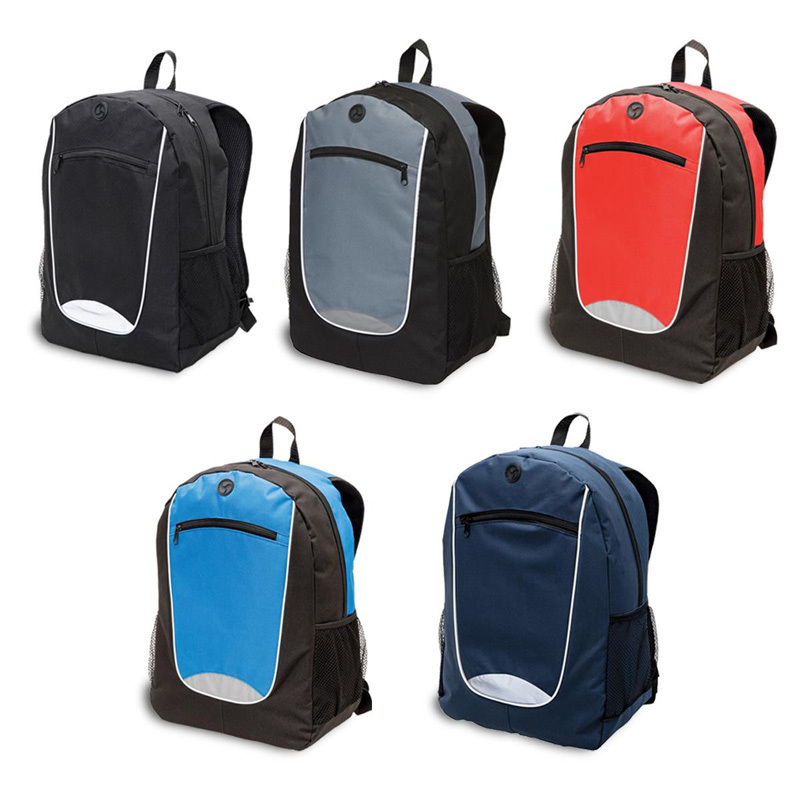 Think about it – the average cheap branded backpack is worn on a person’s back, with the front facing whoever may be walking or standing behind them. 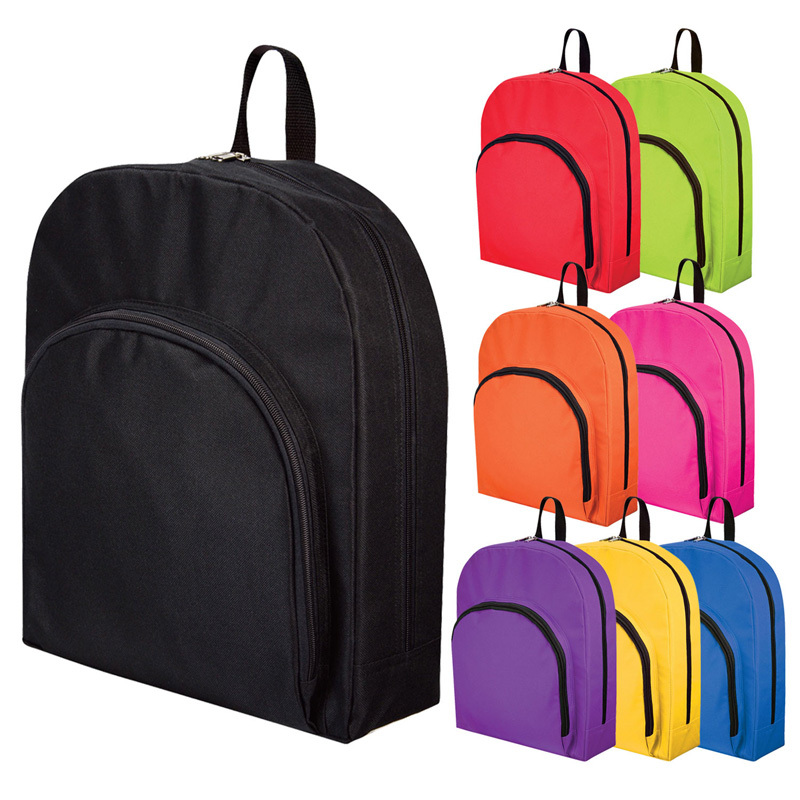 This makes them incredibly useful promotional items, as they are always visible. 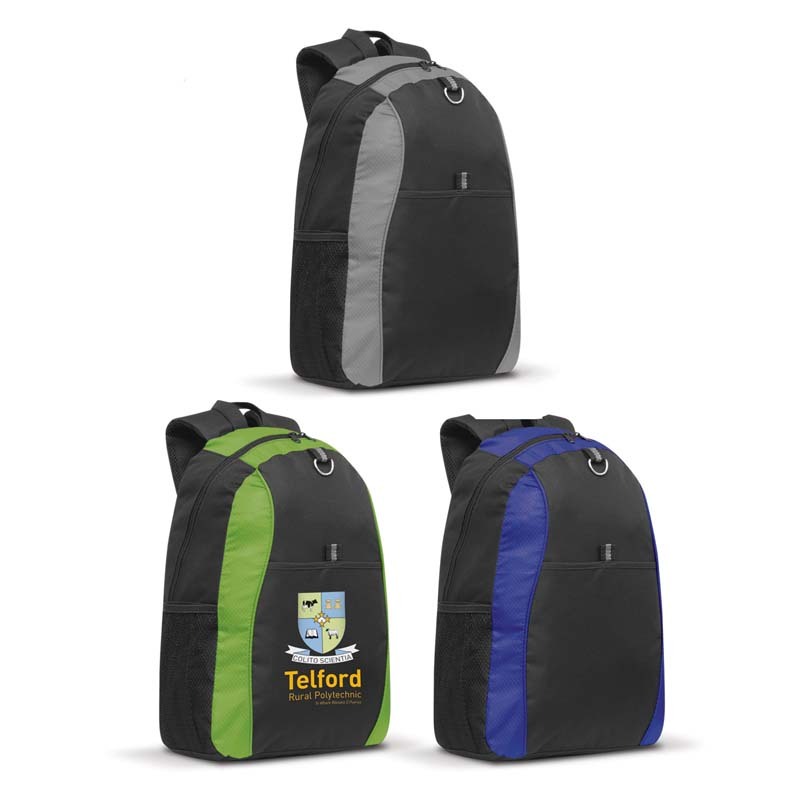 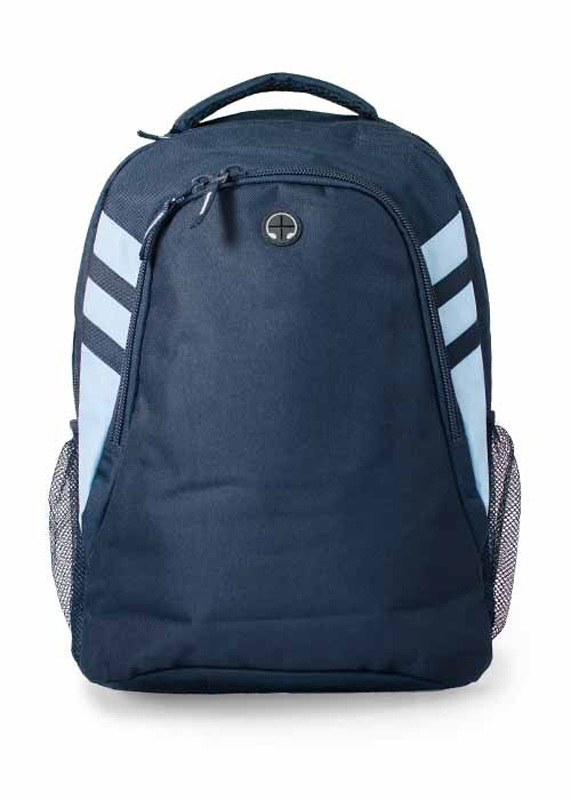 The personalised backpacks in our range are suited to varying applications. 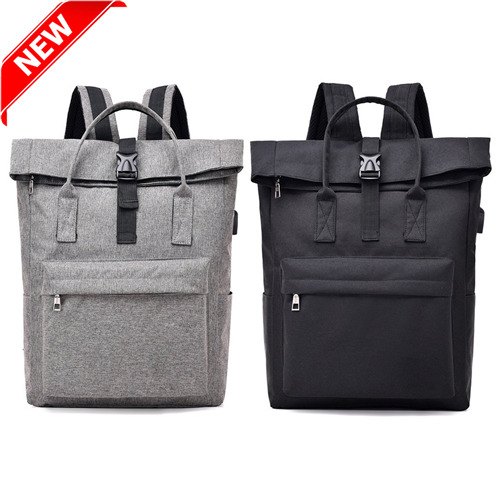 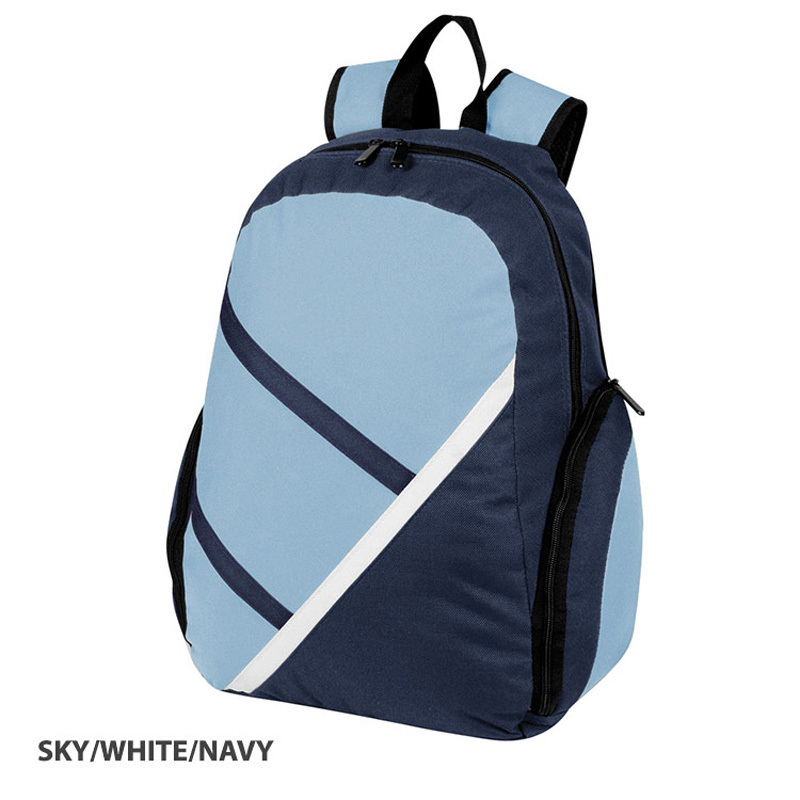 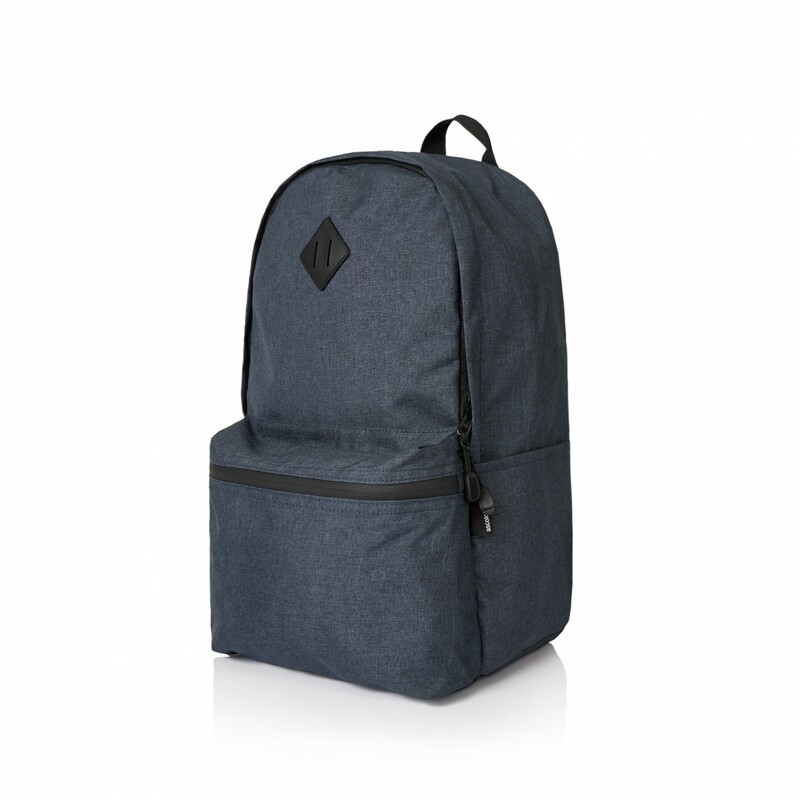 Our promotional laptop backpacks, for example, are reinforced to carry such an expensive piece of equipment and our custom travel backpacks feature compartments for storing all your things. 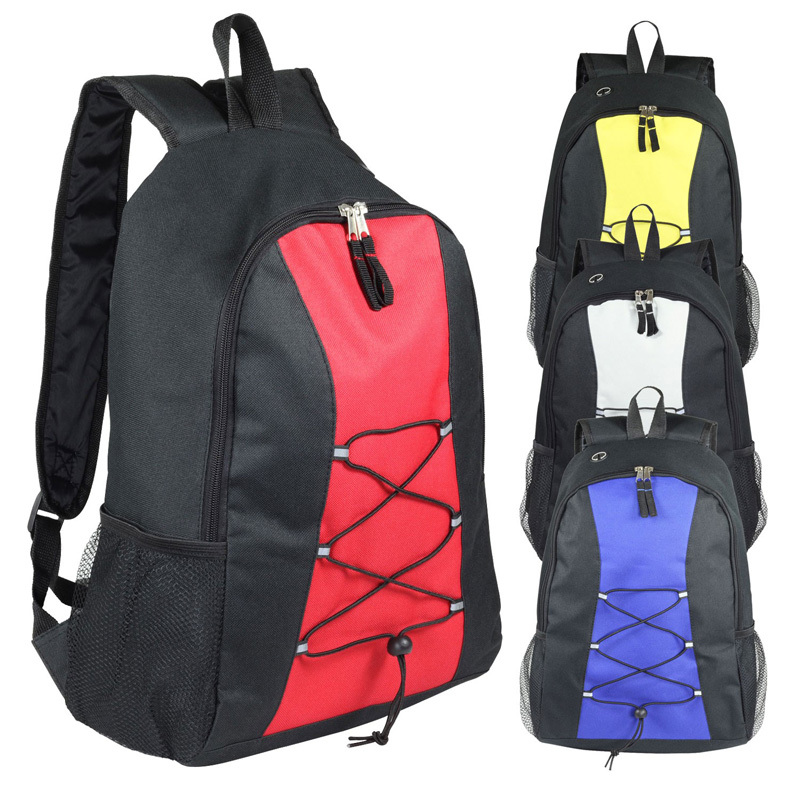 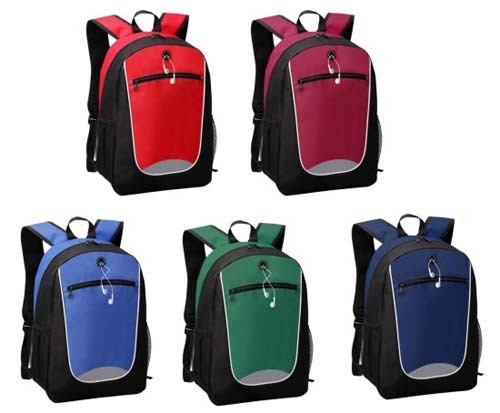 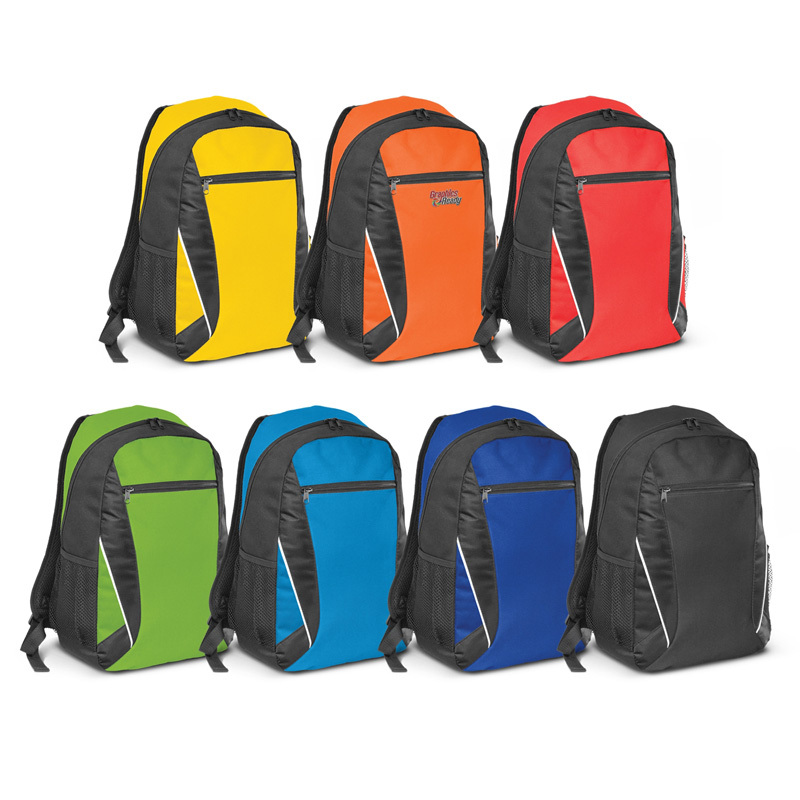 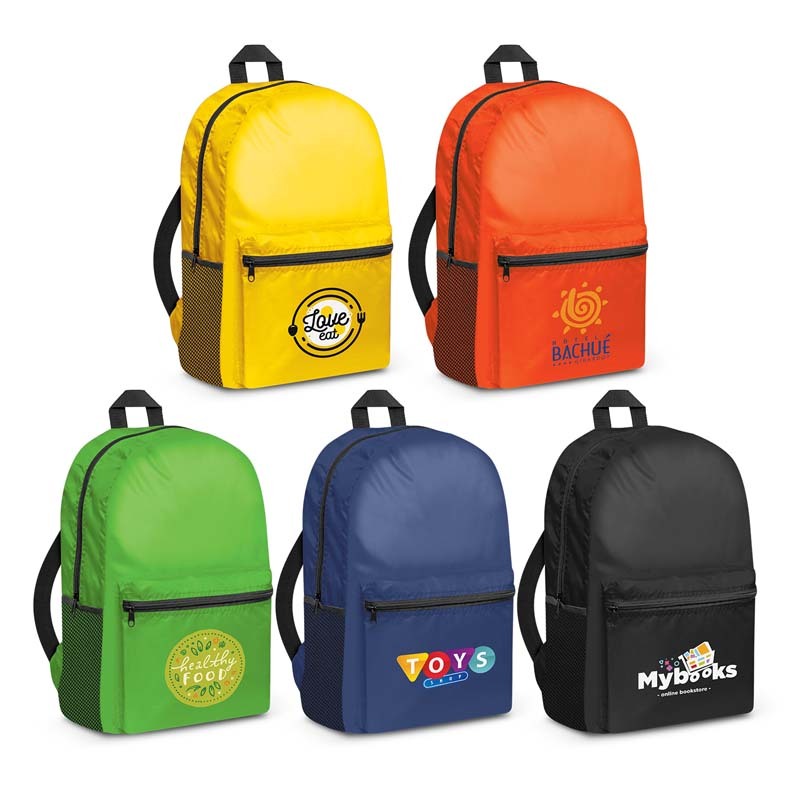 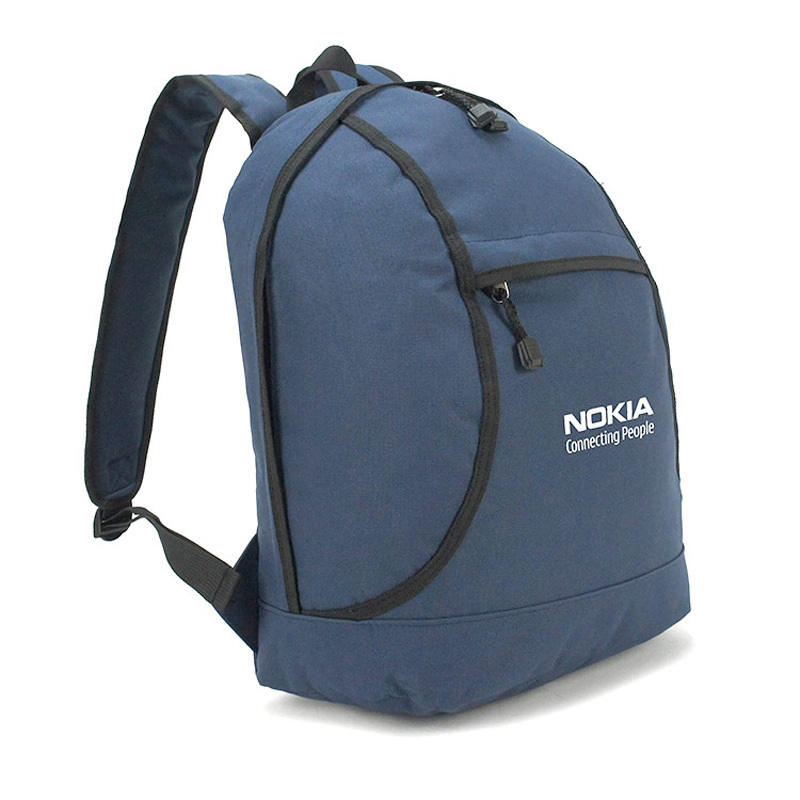 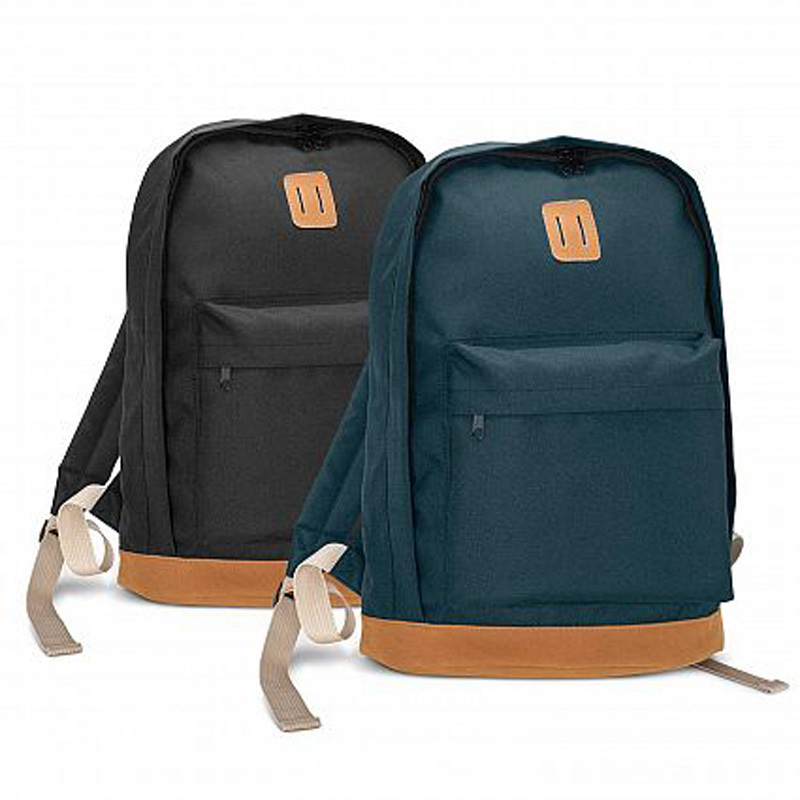 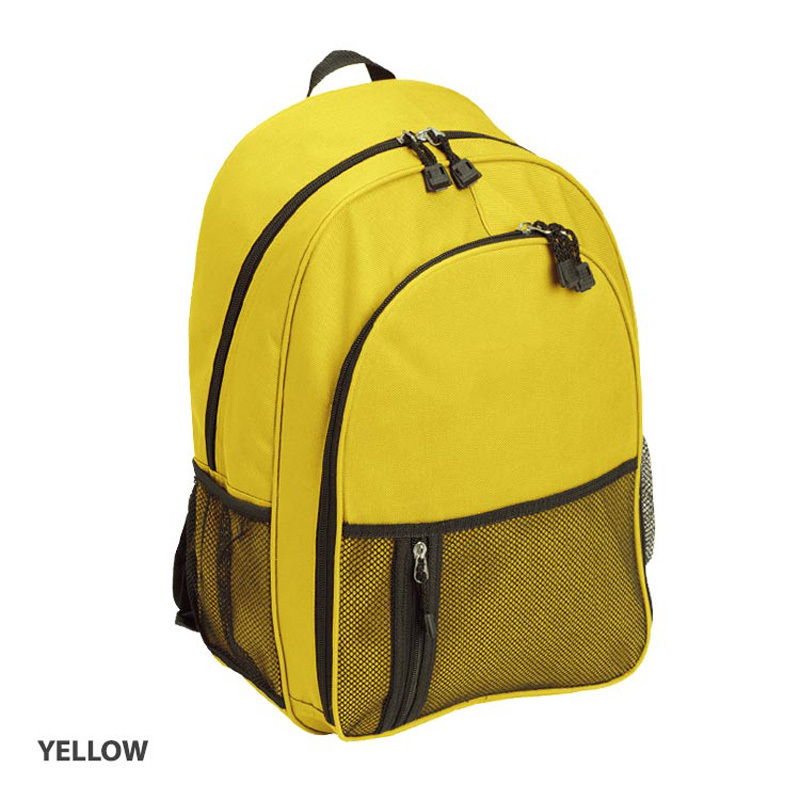 Promotional backpacks in Australia are available in a wide array of colours, ensuring that your brand and logo colours can be reflected with ease. 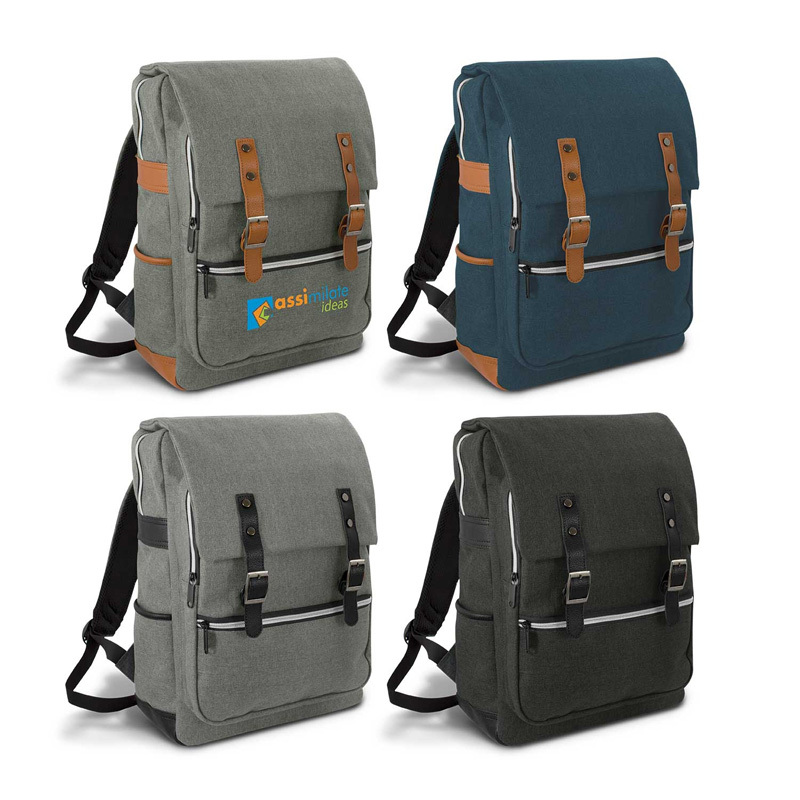 Choose from attractive neutrals, soft pastels and bold shades.